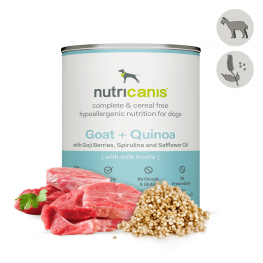 Grain-free/cereal-free premium dog food with reduced fat and increased fibre content. 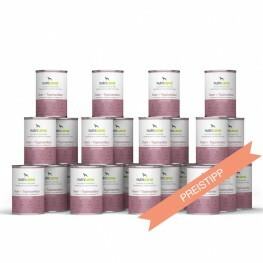 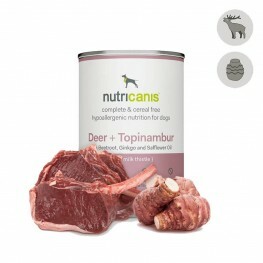 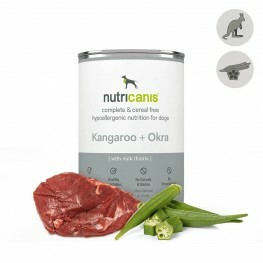 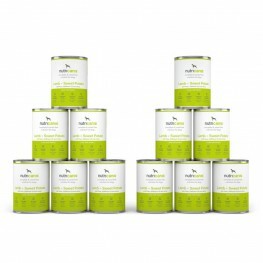 The species-appropriate dog food with high-quality meat, nutritious vegetables – no grains/cereals. 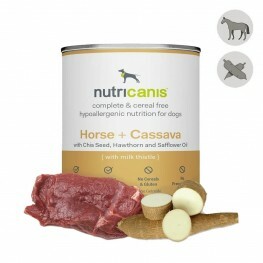 Grain-free/cereal-free wet food for adult dogs. 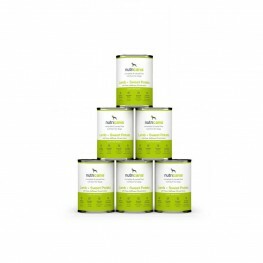 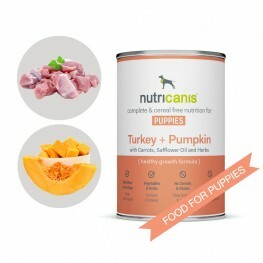 Grain-free/cereal-free wet food for puppies and adolescent dogs. 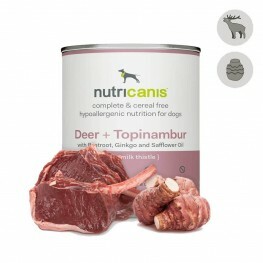 Grain-free, cereal-free wet food for adult dogs. 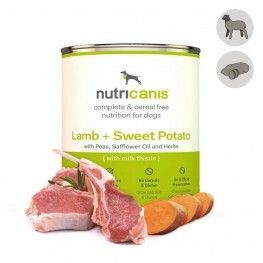 We love dogs. That is why we have developed a premium dog food that is well tolerated, made with high-quality ingredients and contains no artificial colours, cheap fillers, soy, flavour enhancers, sugar, or sweeteners. We aim to prevent any possible sensitivities or allergies and therefore do not use grains or gluten-containing ingredients. 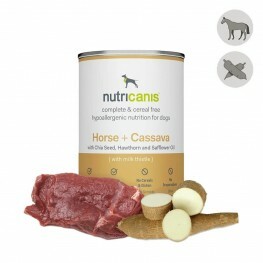 We collaborate closely with veterinarians and nutritionists when developing our products. 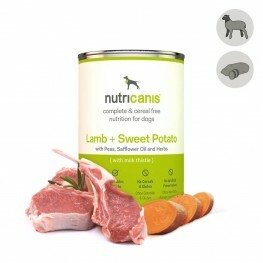 Our high-quality recipes will contribute to an optimal and healthy diet for your dog. 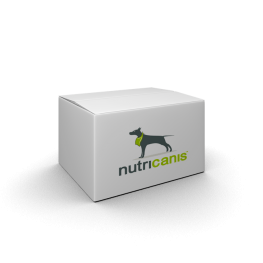 We use premium ingredients so every meal will provide your dog with everything he needs to stay healthy and fit for as long as possible. 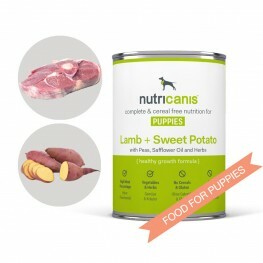 Our dog food is based on a dog's natural diet; proteins from high-quality meat (single protein), vegetables, berries, and herbs. 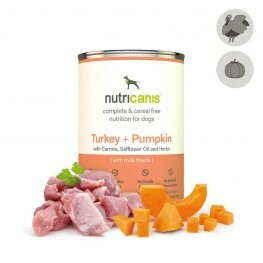 This diet supplies your dog with the nutrients, minerals, and vitamins he needs on a daily basis. 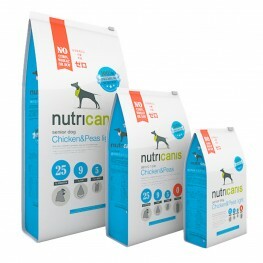 Our healthy dry dog food contains high-quality protein from chicken, potatoes as an optimal source of carbohydrates, vegetables, berries, and herbs. The chunk size is suitable for small, medium, and large breeds. 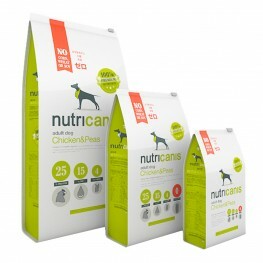 Nutricanis dry food is available in varieties for normal-weight adult dogs (Adult Dog Chicken & Peas) and for older dogs or dogs who tend to be overweight (Senior Dog Chicken & Peas Light). 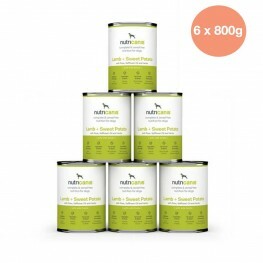 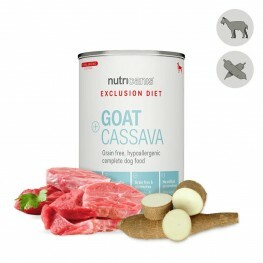 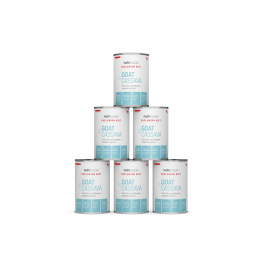 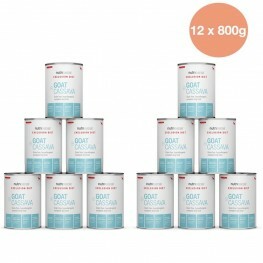 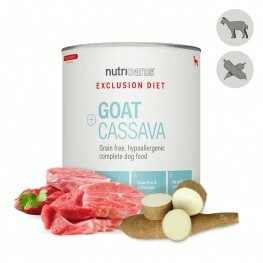 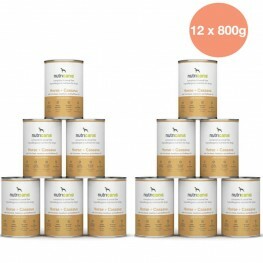 The light version of the dry food contains less fat and more fibre. 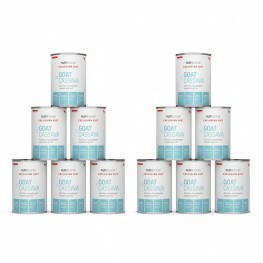 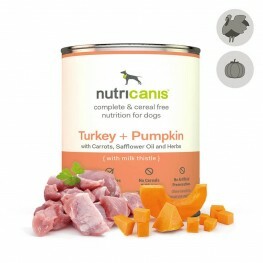 Our wet food for dogs is available in Turkey + Pumpkin and Lamb + Sweet Potato flavours. 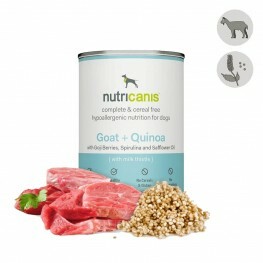 We use high-quality meats, vegetables, and herbs. 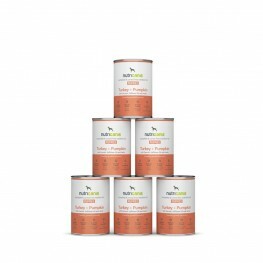 Our wet food is 100% grain-free/cereal-free and contains no corn or rice. We also do not use artificial flavourings, attractants, preservatives, or sugar. 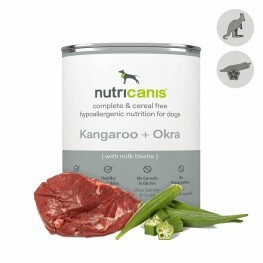 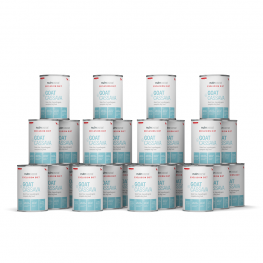 Your dog will be supplied with all the essential nutrients and vitamins he needs.